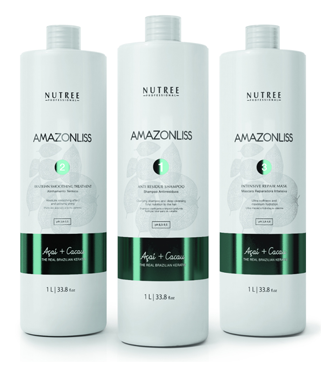 Amazonliss is the Smoothing Treatment. 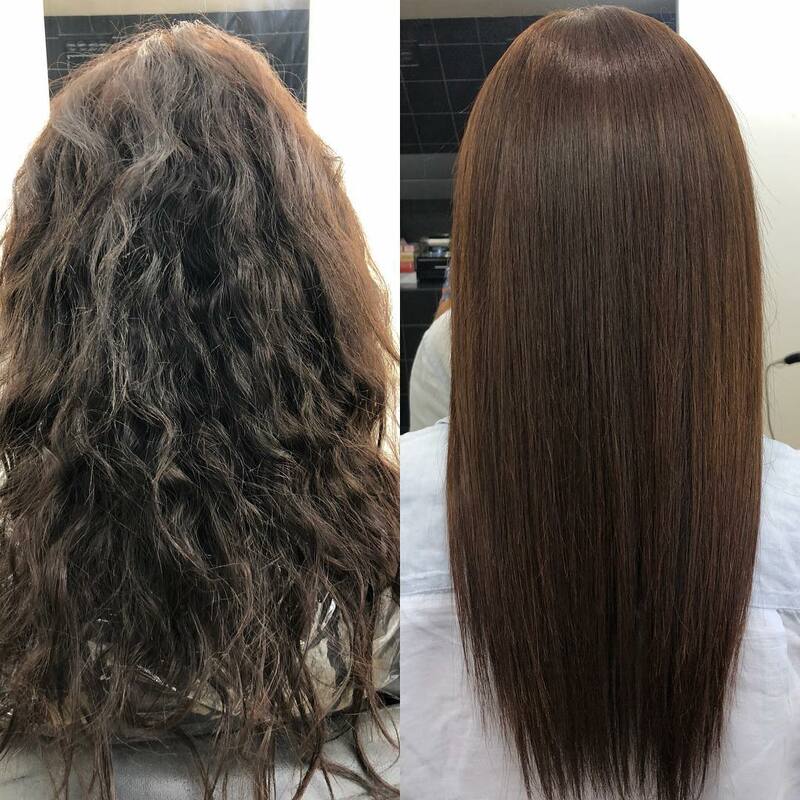 Keratin is a protein that is an important part of our teeth, skin, and hair. It is robust and versatile. 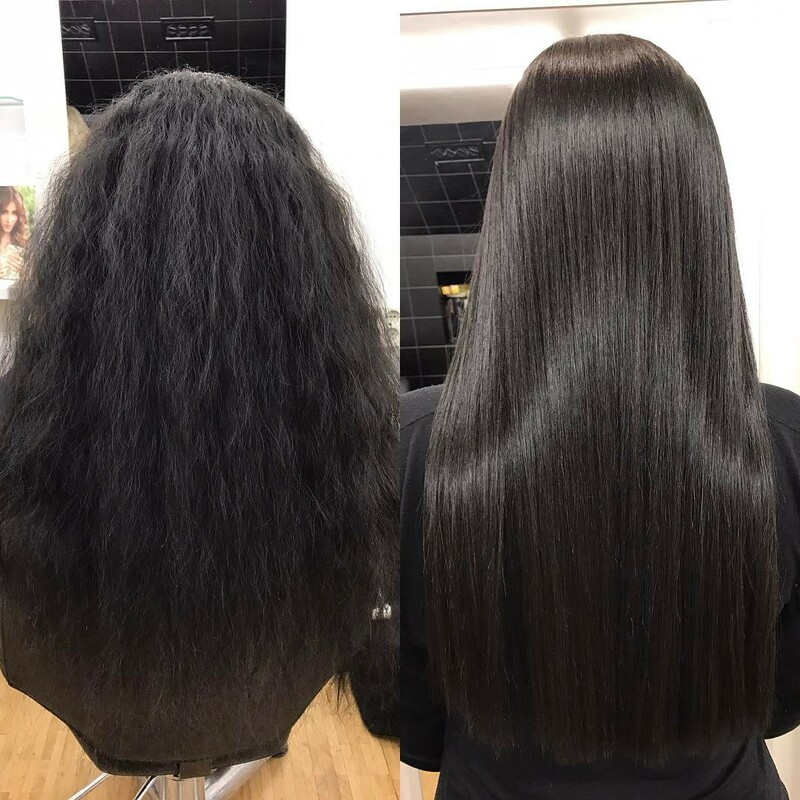 Keratin is used to restore damaged or broken hair to return its natural beauty. It also has some additional benefits. I live in South FL and the humidity is almost tempting to shave my head. The result, well, I only have 3 things to say, I LOVE IT!!! I LOVE IT!!!! I LOVE IT!!!! Plan to use on a regular basis. Very pleased with the results. Everyone has said something about it. Even told I look younger. Yeah Nana!!! This does indeed work. I have thin frizzy shoulder length hair. 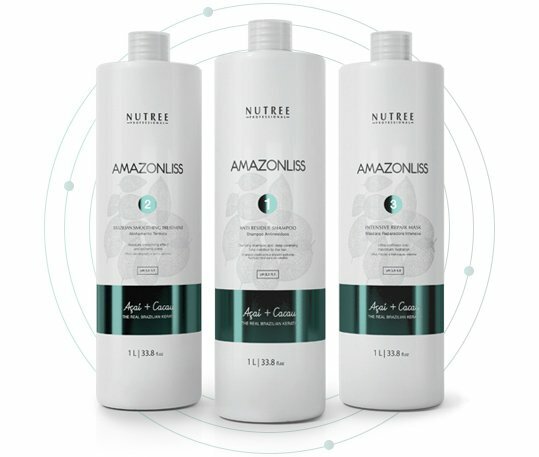 After using this product, I no longer have to blow dry my hair. It dries straight and smooth. I also only used half a bottle and have enough for another treatment. 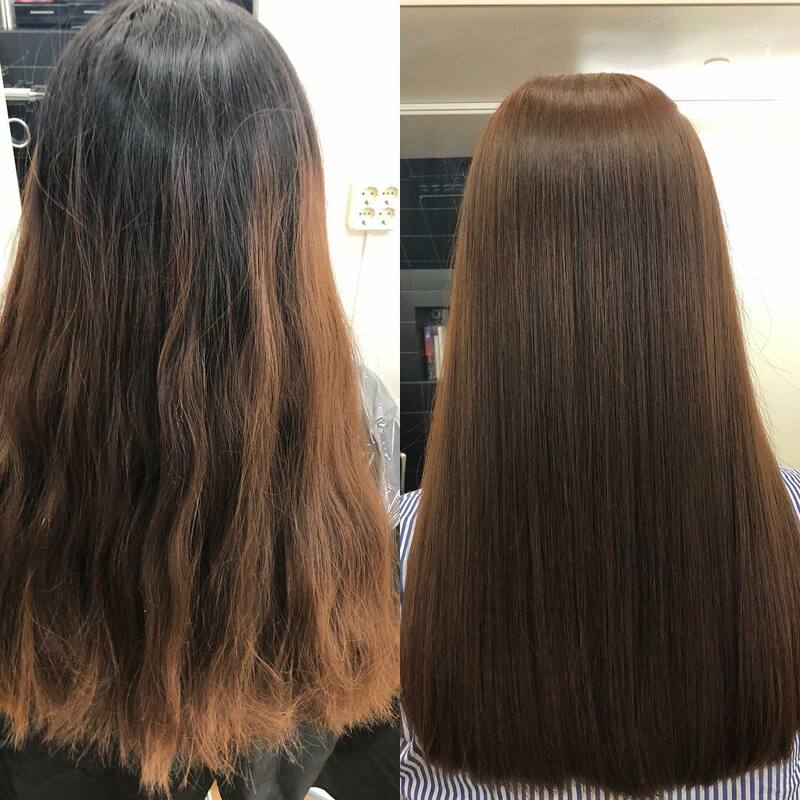 Totally worth the money (-: changed my hair dramatically from frizzy and wavy to smooth and shiny hair everyday. This product was amazing. The shipping was fast and it made my hair silky and shiny. My curls were able to revert after an ACV wash and an overnight deep condition. I have straightened my hair twice in a month since I got this product because my hair remains silky. I do recommend this product. I loved this product. My hair used be so frizzy and dry. 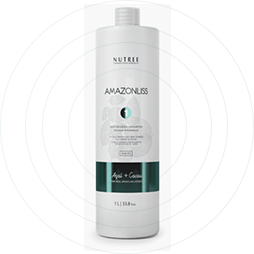 After using this product my hair is so much easy to manage and soft. My honest review of this product, It works really well on my hair, But it takes me like 2 hours to get this shiny hair and i know i did really well. I love this product. I will buy it again. 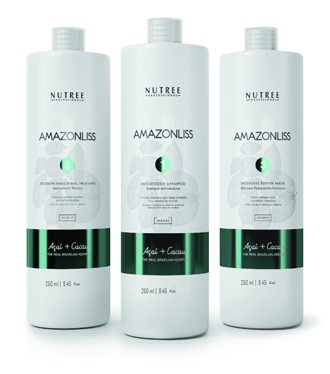 I really liked the product, I used on my hair which is a semi-relaxed 4b hair texture. After I applied it, my hair did feel easier to blow dry, but I advise not doing yourself if you're not really trained. I ended up getting a relaxer a few weeks later since I still had relaxed ends. 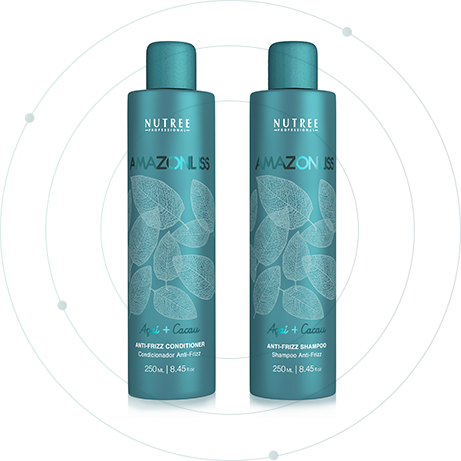 Anti-Residue Shampoo works by opening the cuticle up, and preparing the hair for absorption of the keratin. 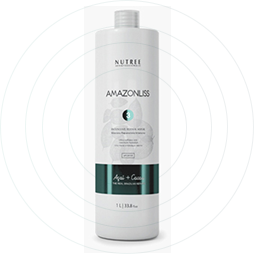 The shampoo has a high ph, so it provides a deep cleaning by removing the residue of the products accumulated in the hair fiber, leaving hair extremely clean. 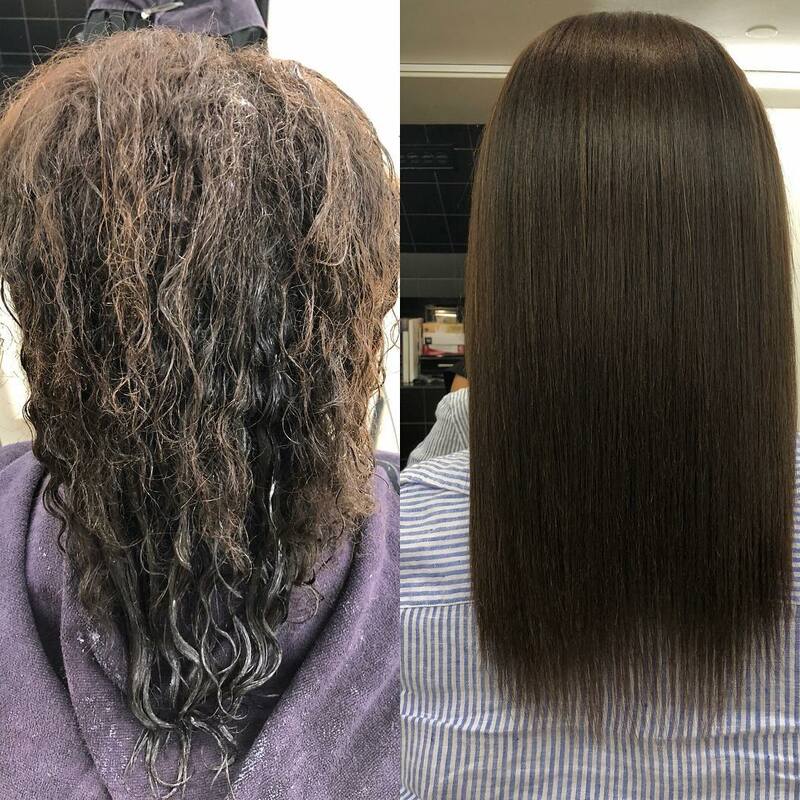 Treatment It is one of the strongest keratins on the market. New technology not only allows the product to provide best results, but also makes application easy, while removing the unnecessary order. 1 application Do it at home! Up to 5 applications! Save $175! 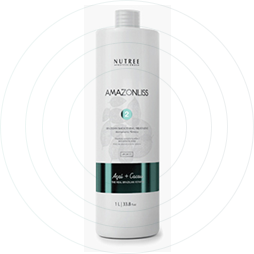 1Wash the hair with Anti Residue Shampoo, massaging into a lather. Leave for 5 minutes. Rinse. Repeat the operation for virgin hair or resistant hair. 2Use a hair dryer and hands to dry hair to about 85% dry. 3Section the hair into 6 equal parts with hair clips. 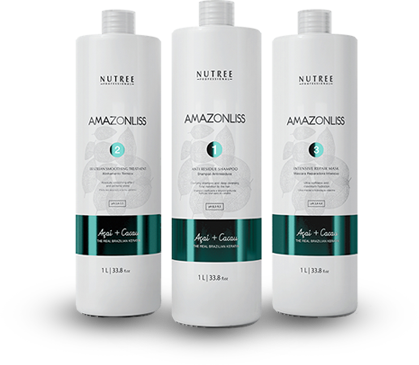 4Apply the Brazilian Smoothing Treatment in one section starting from the base of the head. Open the section in half and apply the product on the upper and lower parts of the section. Use a fine-tooth comb to combthrough the entire section, from the roots to the ends, making sure the whole length of hair is covered by the product. Do not over-saturate. 5With the hair dryer set to cold air, dry the two section completely without brushing. Repeat on all sides of the section. 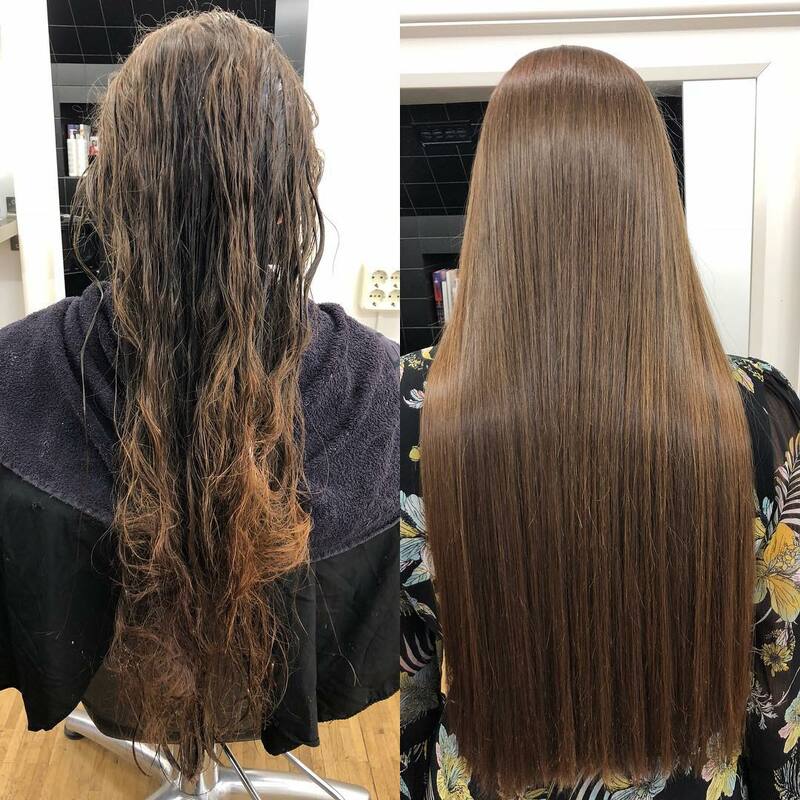 6Divide the hair into four parts and then flat iron the hair from 8 to 10 times from root to the middle of the strands, and from 4 to 6 times onto the ends, the flat iron temperature should range between 380 to 460 degrees Fahrenheit. 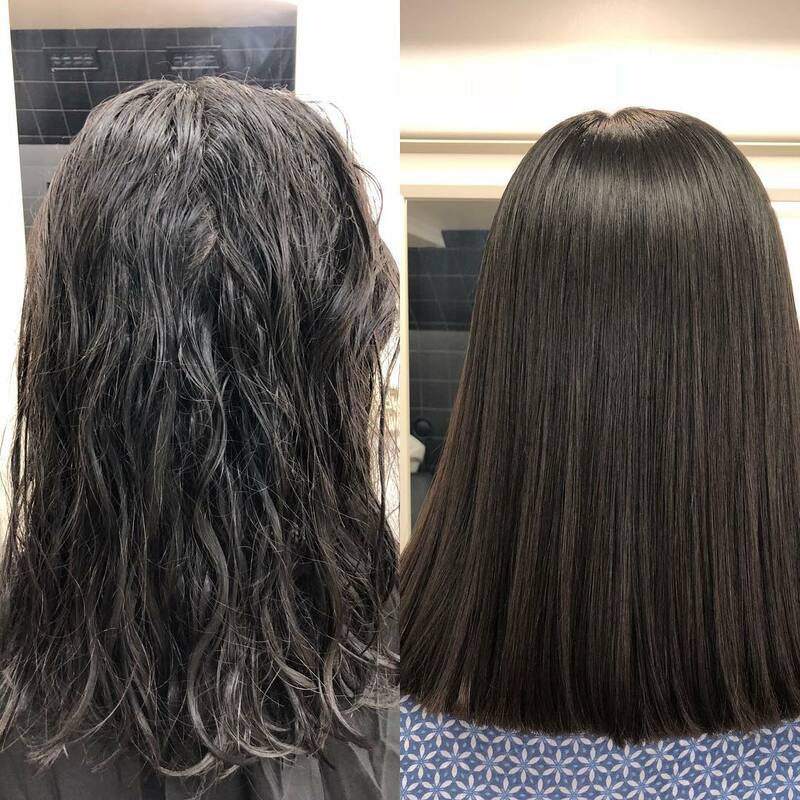 7Repeat the iron straightening process in all the hair, always making sure to take fine and linear strands of hair throughout the entire head. 8Rinse the hair. 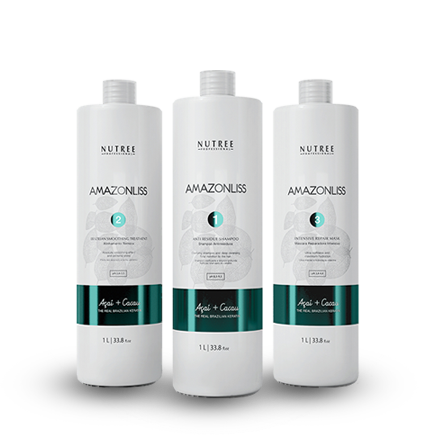 Apply the Intensive Repair Mask and work it throughout the hair. Leave on for 3 to 5 minutes. Rinse again.